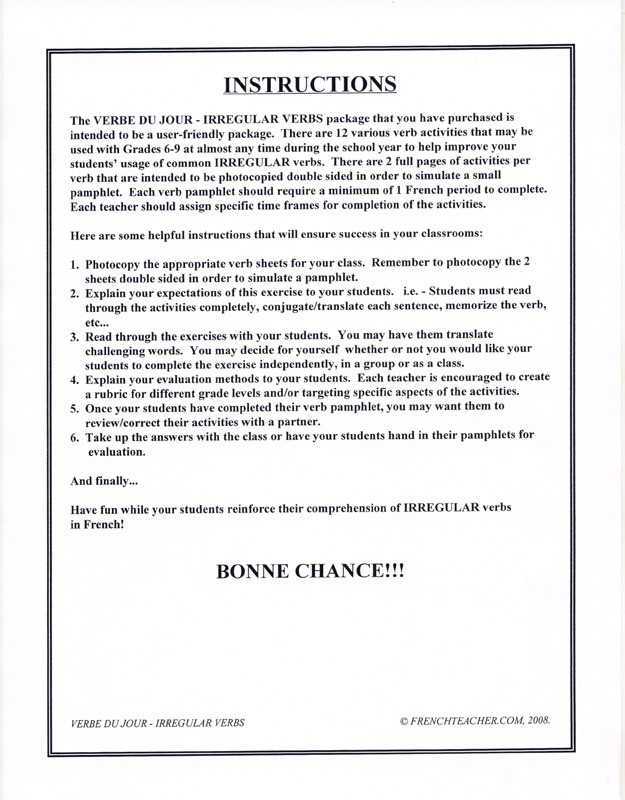 Help your students understand irregular -ER verbs with a variety of pamphlets. Verbe du jour ! 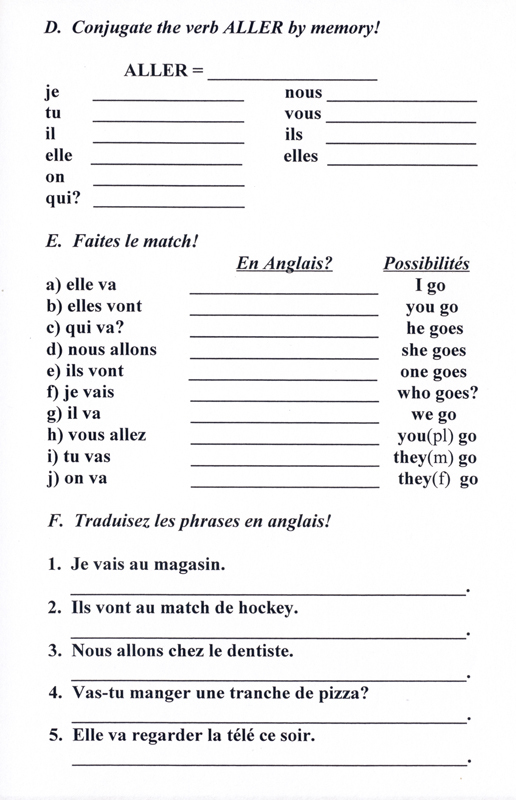 Irregular Verbs contains two full pages of activities for each of the 12 verbs covered. 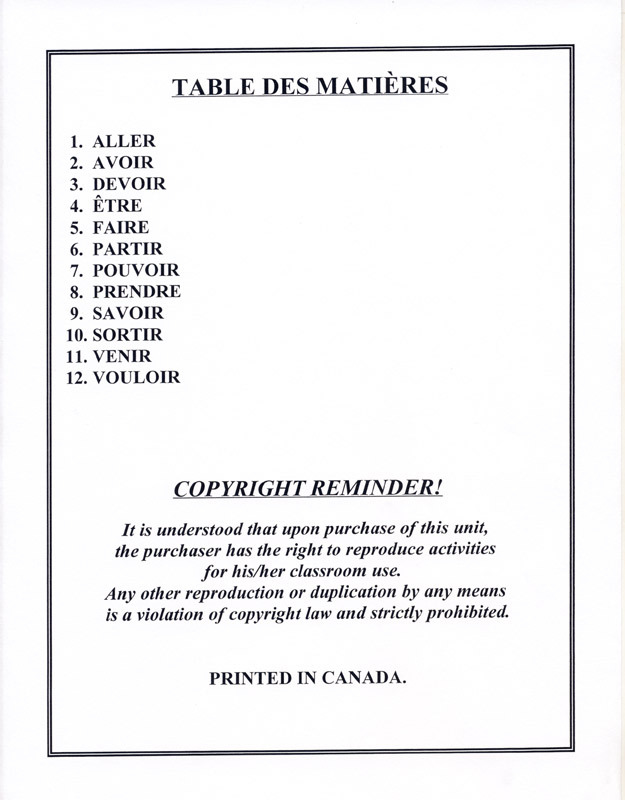 Verbs include aller, avoir, devoir, faire, savoir, and more. 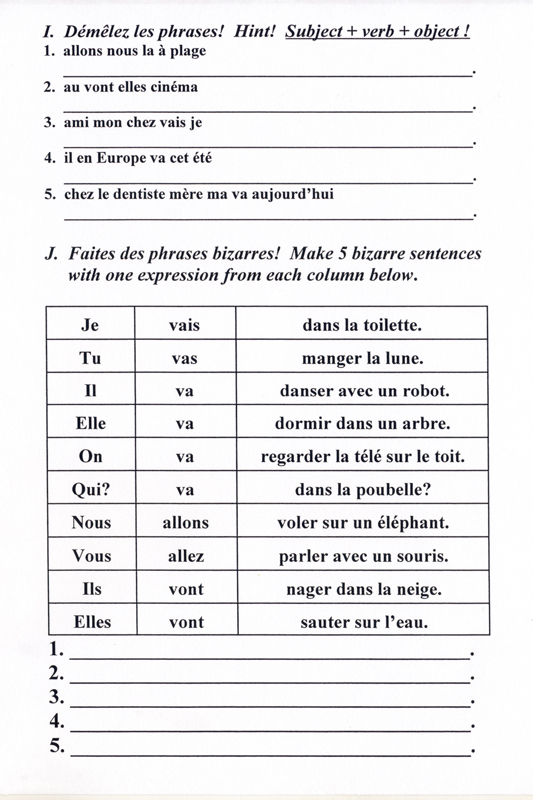 Give students an extra challenge by giving them a time limit to complete verb activities. Pamphlets will work with group and independent activities. ©2008. French, English. Grades 6-9. Reproducible. 25 pages.